How 3D Printing Will Take Lead In Manufacturing Industries? In simple terms, the work of an industrial 3D-printer is totally based on the processing of three-dimensional graphics with geometric parameters of the future object. Engineers create them manually on a computer or by scanning real prototypes. The device contains data from files and forms a structure of layers of liquid, powder or sheet material. The sample of a future product is formed by the successive joining of the layers through the cross-sections. Always keep in mind that each micron of the surface corresponds to the virtual parameters of the graphic model and is fused together into a single model of the finished form. This technology allows you to create geometric forms of unlimited complexity, which is impossible to achieve with limited standard production equipment. It has made the life of engineers and designers simple and comfortable. So, how 3D printing actually helps the manufacturing industry? Let’s see. 3D printing is highly suitable for small-scale production. This technology allows you to receive products quickly at a low cost as the technology makes it possible to produce products with a very complex shape. Alternative technologies can also achieve such results, but the number of components will get increased. 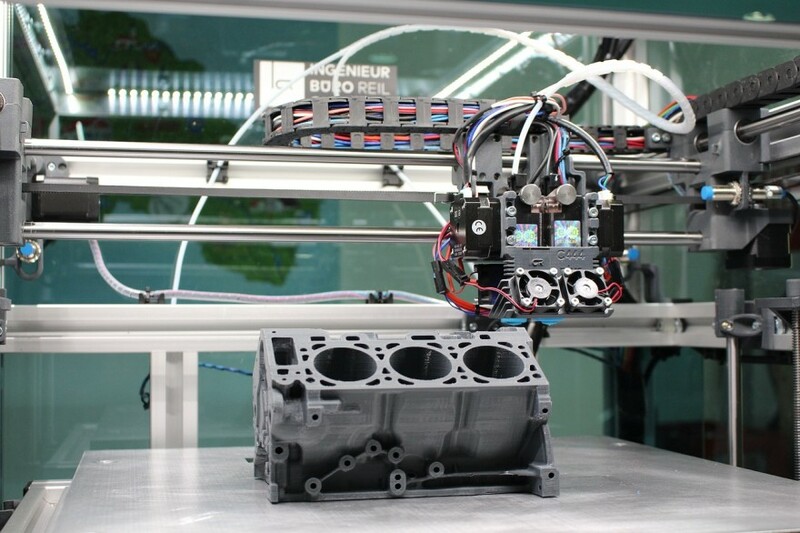 In fact, three-dimensional printing is famous for rapid prototyping as it allows engineers and designers to create prototypes of products of any complexity and use them for their physical, technical and visual evaluation. With the help of 3D printing, you can easily find out whether there have been errors in the development or not and what needs to be done to make adjustments to the project being developed. 3D printing is used to manufacture products, repair, restore or replace damaged items. This art is called reverse-engineering, which consists of the reproduction of a real-life product or part that can be either whole or damaged. With the help of a three-dimensional scan, a computer model is formed on the basis of the physical object and If necessary, the damaged areas are restored and changes are made to the geometry of the product and the physical product is reproduced on a 3D printer. 3D printing in the industry is aimed at creating functional prototypes and produce commodities of higher quality. As large-scale projects with thousands of 3D-printed details are not expensive, it is more profitable than other technologies. A good number of product manufacturers use 3D printing for prototyping. Always keep in mind that plastic can also be used for casting, but casting small batches may require the installation of too expensive equipment. So, by using the 3D technology, manufacturers can easily produce 3D parts of their products several times cheaper than other technologies. Using 3D printing technology can reduce the time spent on each project up to a great extent. The traditional methods of production can take several weeks or days and the most of the output is printed per hour. Many manufacturers have started to manufacture custom parts, which allows them to optimize the warehouse capabilities and the resource management scheme, making them more flexible. With the help of this new technology, the manufacturer does not need to store every single component (for testing and use- such as printer cartridges). They can simply be printed as per actual needs and put into operation immediately. Quality control is one of the most important aspects of the production of goods as it affects the reputation of the company in its industry. Apart from this, inadequate technical control can lead to injuries to employees and customers. As 3D printing uses a completely different production method than most operations involving machine tools, this technology has significantly fewer weaknesses and flaws. So, the quality of the products is ensured easily with its use. These days, companies always look for ways to save their valuable resources and take care of environmental issues. 3D printing is often called as a “green technology. As there is less waste with 3D printing than with traditional processing, this technology allows you to take care of the environment more carefully and reduce the cost of production up to a great extent. All those manufacturers who want to keep pace with the innovative trends of the 21st century, need 3D-printing to minimize the risks in their production units. We all know that new technologies are inherently risky, the risks in 3D printing are significantly lower than with traditional production methods. 3D printing is not only much cheaper while creating a new design or product, the printed prototypes are able to warm up the interest of investors and customers and encourage them to specify whether to start serial production of the product or not. Products manufactured with 3D printing always have numerous possibilities for customization. Details of products can easily be printed on products with light plastic and some models of the next generation goods can have a metal coating. So, the final objects are gorgeous and functional. They also have thermal and chemical resistance. 3D printing technology is rapidly making entry in different walks of human life. In manufacturing industries, it helps companies to create 3D Models of their future products and produce high-quality commodities easily and effortlessly.